Q: What inspired you to get involved with dogs in the first place? A: I was inspired by the breed from all of the bad I herd about them. I felt I could make a difference and show the good in the breed. I fell in love with the personality and the eagerness to please attitudes of the breed. Q: Lot’s of people want to know more about SOUL TRAIN, please tell us a about him and where he comes from? 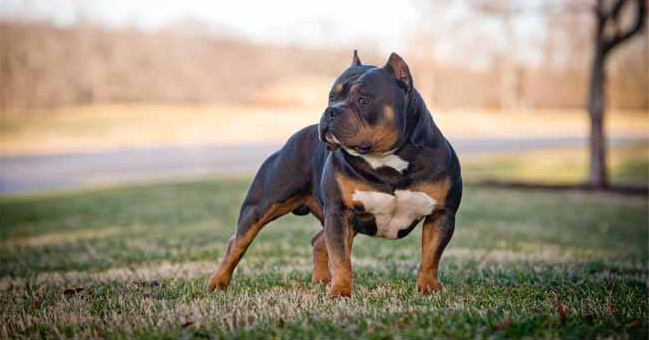 A: GRCH Soul Train is off of GRCH HBPK kennels G TRAIN and Bullyinnovations Dream. Soul was the only survivor out of a litter of 3. Q: Is SOUL TRAIN available for stud? Q: What type of dogs are in your yard? I only have a few dogs on my yard. All carrying the same basic look of Soul train. Q: What type of diet do you keep your dogs on throughout the year? A: I feed Earth born kibble and I mix in some raw from time to time. 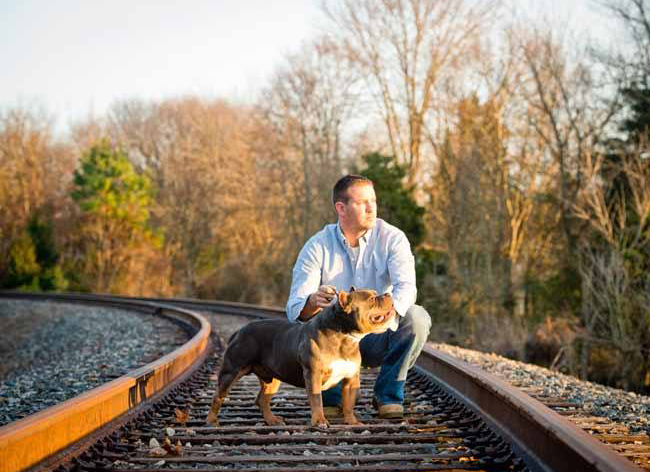 Q: What separates Bully Innovations from all the other competing kennels? A: What separates Bullyinnovations from others is that we are a family ran kennel that breeds for structure ,confirmation , personality and all of my dogs are athletic and functional while maintaining a bully style. We have CH and GRCH dogs that are proven in and out of the show ring. Q: What does the Bully Movement mean to you? A: I don’t pay attention to the bully movement. I do my own thing and try to stay out of all the politics and drama. I think it’s looking up though. Some moves to weed out the extreme and the exotic dogs will hopefully preserve the breed as they should be actual athletic strong and functional dogs. When you look at a pit bull terrier or an American Bully you should be able to tell that’s a beautiful specimen and not have to ask the person what kind of dog that is or what is it mixed with. Q: Do you have a favorite bloodline? Remy Gaff Gotti edge and Cairo blood. Q: Do you have any advice for people looking to get into breeding, competition or just owning a Bully? A: I advise others to (do you) not worry about the fads and what others tell you have a game plan and a goal and work at it. Do your homework when buying or breeding the dogs and don’t back yard breed. This is not a money racket these dogs should be respected and not abused and not bred for greed or money. Q: What are your goals for 2015? A: Goal for 2015 start another journey in the show ring to bring home another CH and grch to the yard. And to make a difference in others eyes of the breed. Q: Tell our members a little bit about Bully Innovations and how it all came about? A: Bullyinnovations is the name of my kennel because I wanted to show that a small kennel could make a difference and also show that you could have top dogs in the bully world by doing things through love and passion for the dogs and with only a couple dogs on a yard. And so I wanted to innovate the way things can be done. Q: Is there anything else you wanted to share with the American Bully World community?